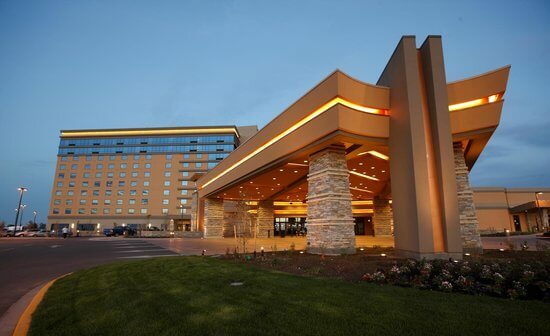 The Wildhorse Resort Casino is is owned and operated by the Confederated Tribes of the Umatilla Indian Reservation. 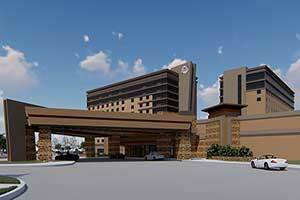 The casino is located off Interstate 84 Exit 216 on reservation land. Tipi village has showers, restrooms, laundry room. 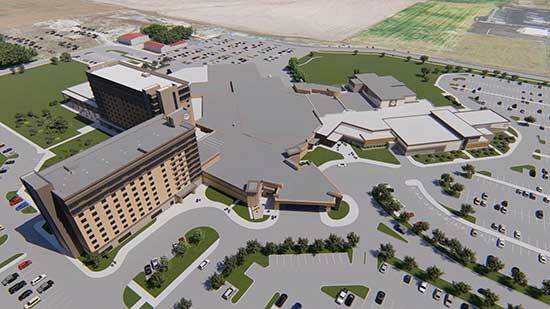 After scaling back the scale of the expansion project last December due to an unexpected hike of the steel tariff, the Wildhorse Resort & Casino has encountered another construction cost setback. Construction labor cost is higher than forecasted due to a shortage of qualified workers in the area. The Confederated Tribes of the Umatilla Indian Reservation planned to spend $85 million to build a hotel tower, an event center, and a bowling alley at Wildhorse Resort & Casino. The current cost has risen to $104 million. As a result, Wildhorse is considering whether or not to divide construction into two separate projects and schedule them as Phase 1 and Phase 2. PHASE 1 will be construction of the family entertainment center. Cost will $30 million and requires fewer workers. PHASE 2 will be construction of a 10-story hotel tower and an event center.. The Wildhorse Resort & Casino board of trustees is reviewing the issues and make a decision soon on the direction for expansion. 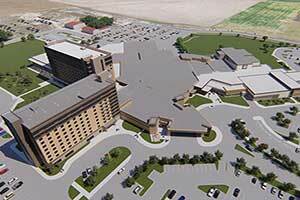 In order to keep on budget at $85 million, some changes had to be made to the expansion plans for Wildhorse Resort & Casino. The price of steel has increased. This had contributed to the increased cost of the project and the scaling back on the project design. On Wednesday final plans were announced. Originally there would be four screens added in the cineplex, a bowling alley with 32 lanes, five new restaurants, and a new hotel. The new plan did not include cineplex plans. The bowling alley will have 2 lanes. There will also be pool tables and a bar. The new hotel will be completed by 2020. The casino resort has undergone five expansions since 1994 when it opened.